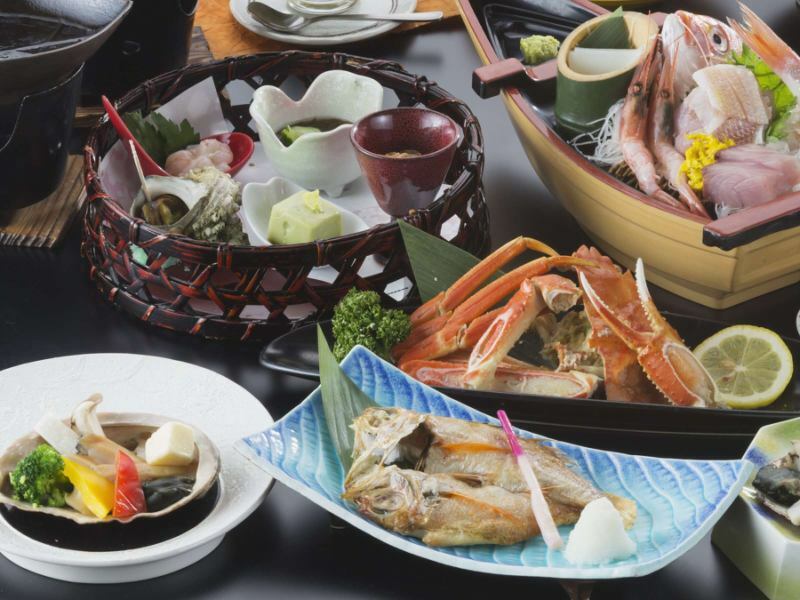 【Teradomari's Fresh Specialty plan】Teradomari the Teradomari's seafood! I want to enjoy seafood as much as I want! Perfect for such customers. The chief chef who put emphasis on freshness is the plan of the hotel with its arm! 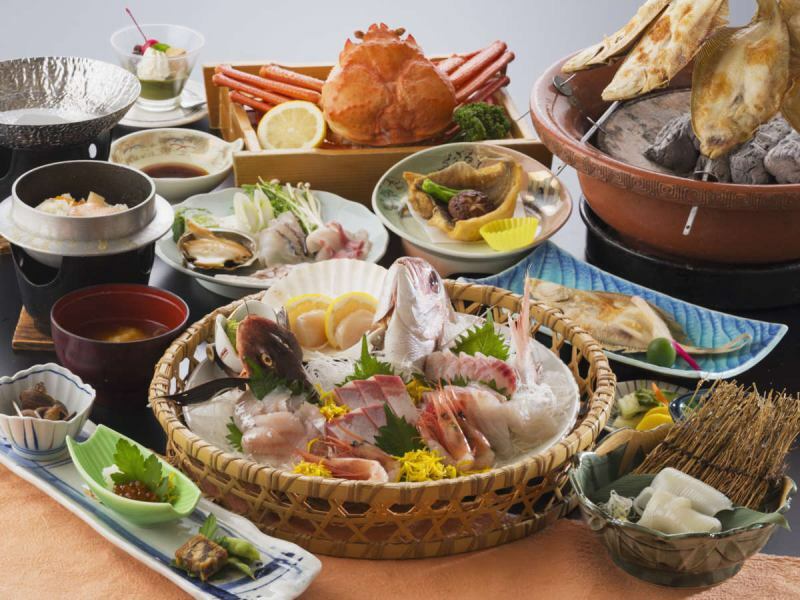 Sashimi is Kagami (2 servings) and it is also recommended for use with couples or couples. 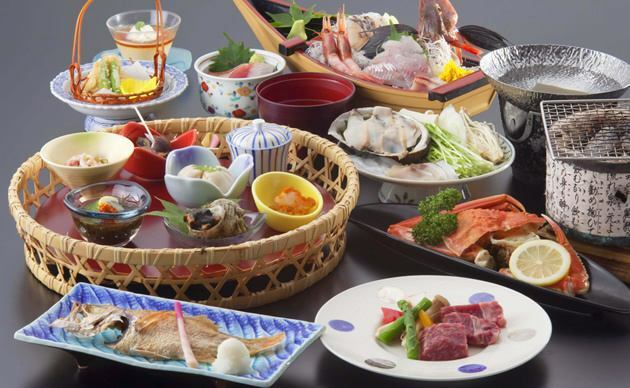 It is a gourmet plan that enjoys the food of Niigata luxuriously! Enjoy exquisite dishes such as tuna more. 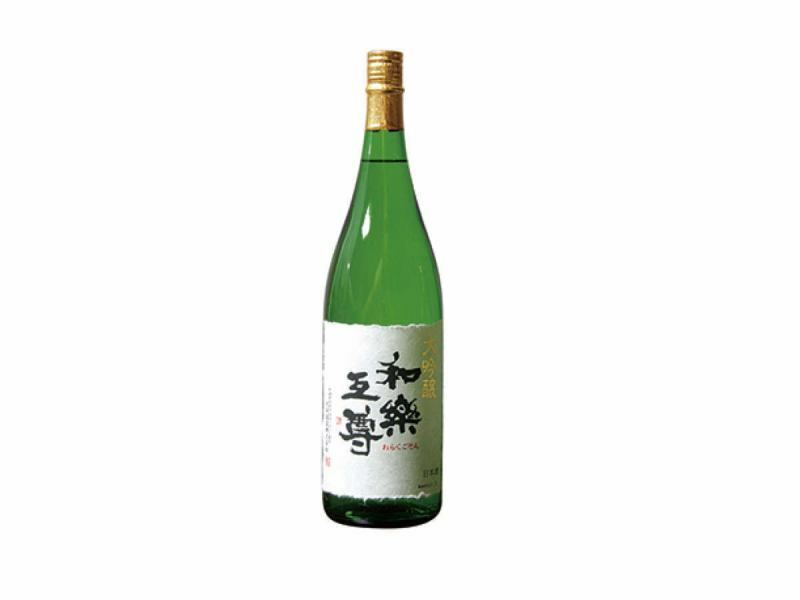 In the hotel, Ikeura Brewery"Warakugoson" of Nagaoka City is offered as both a cool sake and a Ikeura Brewery. Of course, Koshino-Knbai and Shimeharitsuru can be offered if requested. ※Kame-Okina will be valuable and difficult to obtain sake, so we will make it one cup. There is a possibility that the stock has run out.Please note.※Basically there is no one selling.Please note. I would like to continue to defend as long as a traditional event that values ​​the gratitude of gratitude. We will sustain that the dead can go to paradise. Especially··Seventh and seventh is the day when the spirit crosses the Sanzu-no-kawa River. We will devote ourselves to our pursuit and care for the next world as well. It will become the last legal requirement to invite guests.··Of course, those who especially have friends can do whatever we invite from now on. Let's notify guests twenty days ago to one month in advance by picking the date that guests are easy to visit. Ideal is the date of death, but consider the convenience of the guests and choose the day that is as close as possible. In that case, I will do before the death. The number of invited guests is focused mainly on people related to the deceased, and until the first anniversary it is quite extensive, after that it will be decided only for people who are deeply involved. We will send you an invitation in advance, but you can also contact by phone or verbally. Practical items frequently used everyday are pleased. Confirm the final staff and make sure it does not fall. 2. If you are going to burn to the first anniversary, you will finish the braid first. 1 person, 5,400 yen / 6,480 yen / 7,560 yen / 8,640 yen etc. We will respond to your budget. Bus transfer will be accepted.